What is the biggest misconception that people have about Charles Koch? Wichita, Kansas-based Koch Industries, with $115 billion in annual sales and a valuation of more than $100 billion, is America’s second largest privately-held company, employing more than 100,000 people worldwide, about 60,000 of those in the United States. Koch joined the company, then owned by his father, Fred Koch and valued at $21 million, in 1961, and at his father’s passing six years later, was named chairman and CEO of the company. Today, Â the company is behind innovations enjoyed by virtually every consumer, including stain-resistant carpet, stretch denim jeans and the connectors in your smartphone, though the Koch name is not found on any of these products. Over the past five decades, Koch Industries has exceeded the growth of the S&P 500 a mind-boggling 27-fold, and plans to double its value on average every six years. Yet, despite this amazing track record of business performance, the Koch brothers are far better known for their influence and positions on political issues and economic policy than for their formula for business success. Charles Koch’s causes range from efforts to eliminate corporate tax breaks, subsidies and other benefits to “crony capitalistsâ€ and reduce regulations hampering neighborhood businesses, to supporting youth entrepreneurship education and criminal justice system reform. With a huge network of wealthy conservatives, Koch is positioned to leverage hundreds of millions of dollars to finance his agenda, including supporting political candidates. Of course, none of this has made him popular Â in liberal circles–especially among Obama supporters. 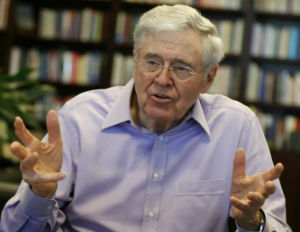 For his part, Koch (who has stated that he is not a Republican, though he disagrees with the agenda of the Democrats), accepts accountability for misconceptions of his motives, pointing to his disinterest, until a couple of years ago, in responding to his critics and investing in corporate communications efforts. It is in the spirit of Koch’s new thinking on proactively communicating his ideas and the values of his company, and with the release of his new book, Good Profit: How Creating Value for Others Built One of the World’s Most Successful Companies, that Koch Industries granted an exclusive interview to BlackEnterprise.com. 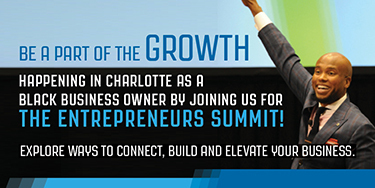 The objective: to discuss the market-based management framework to which he credits the remarkable growth of his company, and which he offers as a success model for other entrepreneurs, and to share, in his own words, the values–including “principled entrepreneurshipâ€–that drive his deeply held beliefs as both a citizen and a CEO. In his exclusive 90-minute interview with Editor-at-Large Alfred Edmond, Jr., he shares his success practices and philosophies. 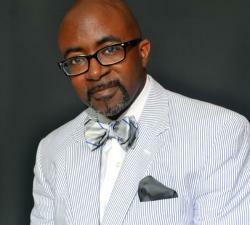 BlackEnterprise.com: Why did you write your latest book, Good Profit? What do you hope to accomplish? Koch: Â My goal is the same as the one for my first book, The Science of Success, but Good Profit is a much better book. I was fortunate enough to learn some principles and values that enabled me to accomplish things I never dreamed I could. So my goal now is to give as many other people as possible the opportunity to learn these same ideas and values, in the hopes that it will help transform their lives as these ideas did mine. Probably the first thing in my life was that I had a father who was as tough as possible; that saved my life. The first thing was, he announced he didn’t want his sons to become country club bums. He started having me work during all my free time at age 6. I was digging dandelions in 100-degree heat, and bailing hay. Then I graduated to milking cows, and shoveling out stalls, digging ditches, hauling steel around; whatever dirty job was out there, he wanted me to do it. What did I learn from that? See, I think people think, ‘Oh, to be educated, you’ve got to go to this college, or study this.’ No, people learn so much by having a job–any job, and particularly, dirty jobs. That is an education, and you find that people who don’t do that–let’s say they get to be 40 and they’ve never worked like that; they probably never will be able to productively work. So what do you learn? Well, you learn discipline and you learn, ‘this is hard dirty stuff; I want to be as efficient as I can.’ So you learn to improve, and think of better ways to get the work done. Then you learn to cooperate with others, the others working with you; so you learn mutual benefit. If I help you, you’ll help me, and we’ll get this hard, dirty work done more quickly and efficiently. So it builds tolerance and civility and teamwork. Then, you learn: Okay, who is the customer? As a kid, you don’t think in those terms, but ‘who am I trying to please here?’ So you learn you’ve got to do that. I had to please my father, which I didn’t do a lot.